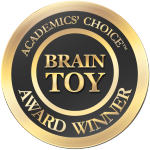 These are two feathered friends that your kiddos will love to create and play with! Kids will use the supplied eco friendly materials to create two endangered bird puppets – a Whooping Crane and a Mexican Spotted Owl – while at the same time learning about these wonderful species. 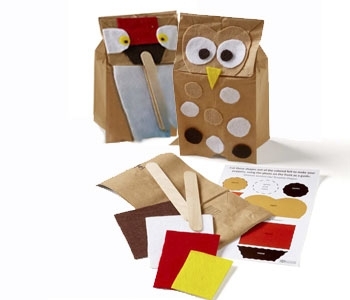 Your kids will spend hours of fun with this portable Puppet Creativity Kit! My animal-loving twins really enjoyed putting these bird puppets together. They were so into it that they put on an elaborate puppet show afterwards. I appreciated that these were actual endangered birds and that my kids learned about the species. The puppets were very easy for my kids to put together. 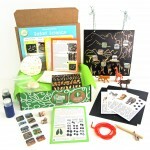 I loved that this kit included 2 birds kits for each of my kids!